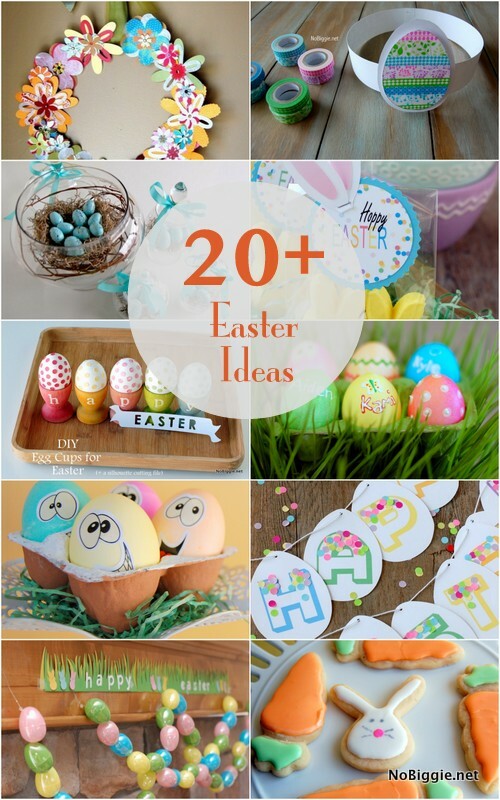 If you’re planning a fun get together for Easter this year, then you’ve come to the right place, because I’ve gathered up all our favorite Easter and Spring party and craft ideas for you to celebrate in style. 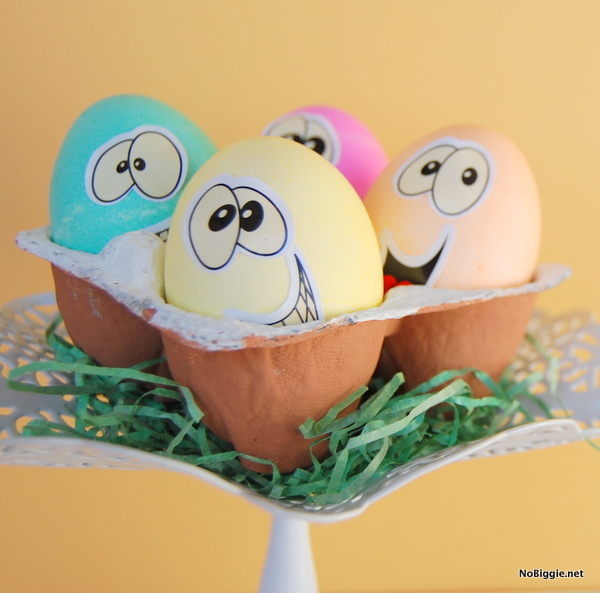 Easter will be here before we know it, so whether you’re planning a simple afternoon with your little ones or a big gathering of friends and family, hopefully I have something for you. 1. 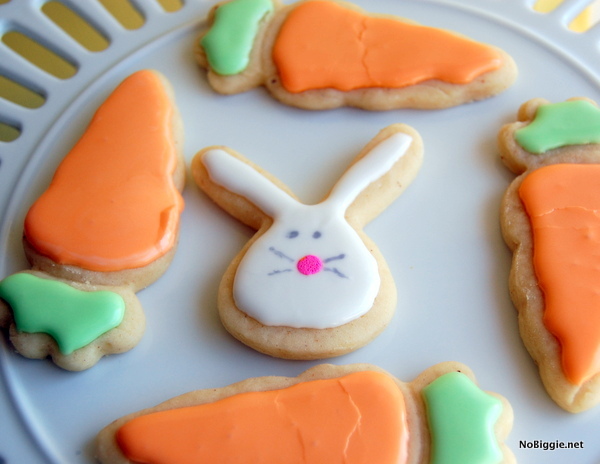 Make simple bunny and carrot cookies (don’t look too close at my cookie decorating skills, these were made long before I learned the ways of my friend Bridget and her great sugar cookie recipe) – even the most simple sugar cookies make holidays fun. 2. 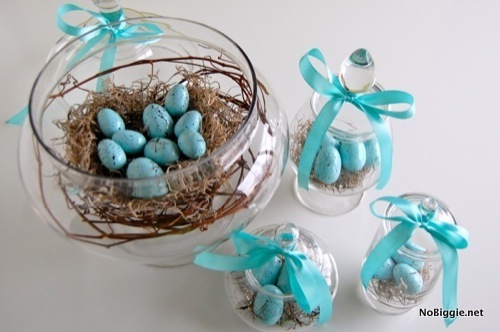 Make a simple decoration for Spring using upcycled thrift store eggs. 3. 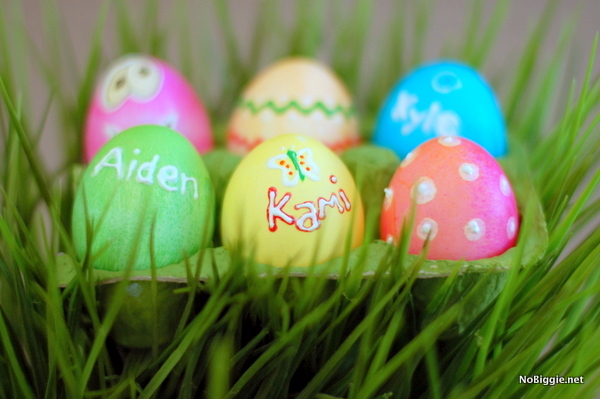 Sometimes even the most simple decorated Easter Eggs are the cutest. 4. 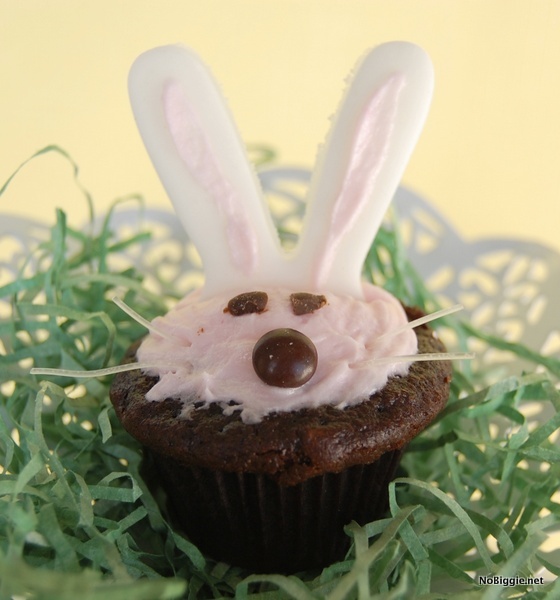 Make these cute bunny cupcakes – using pre-made edible bunny ears. 6. 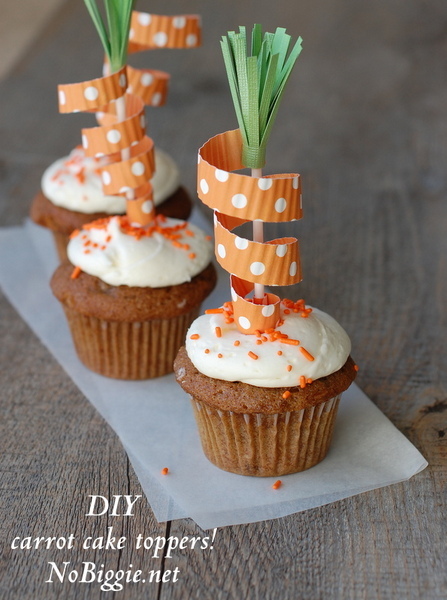 Carrot Cake toppers – fun for cupcakes or a cake too. 7. 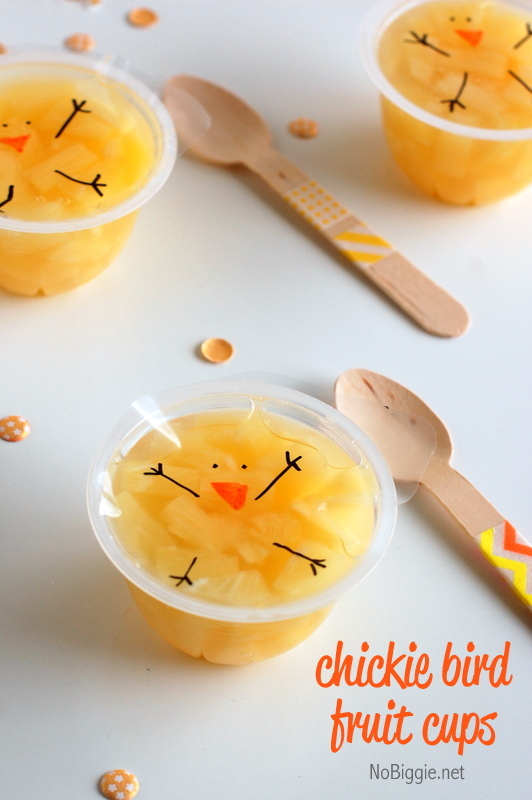 Chickie bird fruit cups are a great snack without all the sugar Easter comes with. 8. 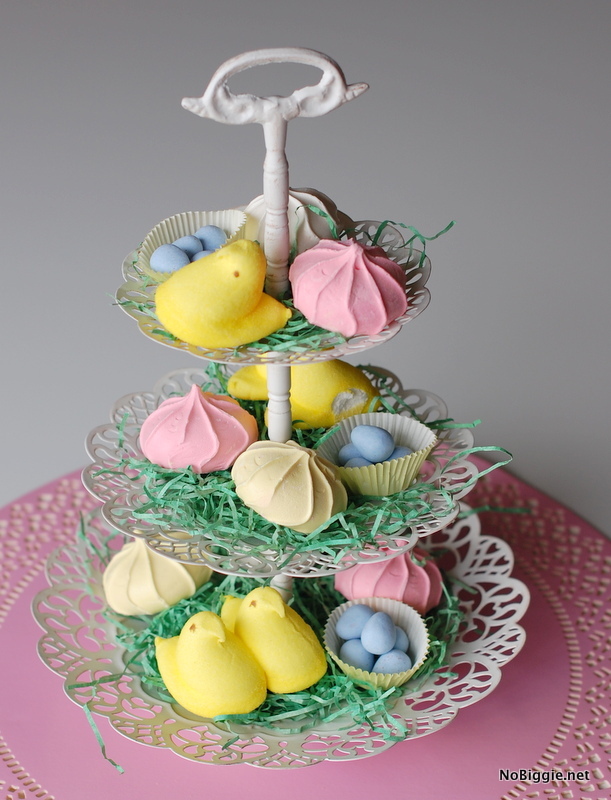 Make a peeps cake topper – these are paper bunny peeps, but you could do real marshmallow peeps – that would be adorable! 9. 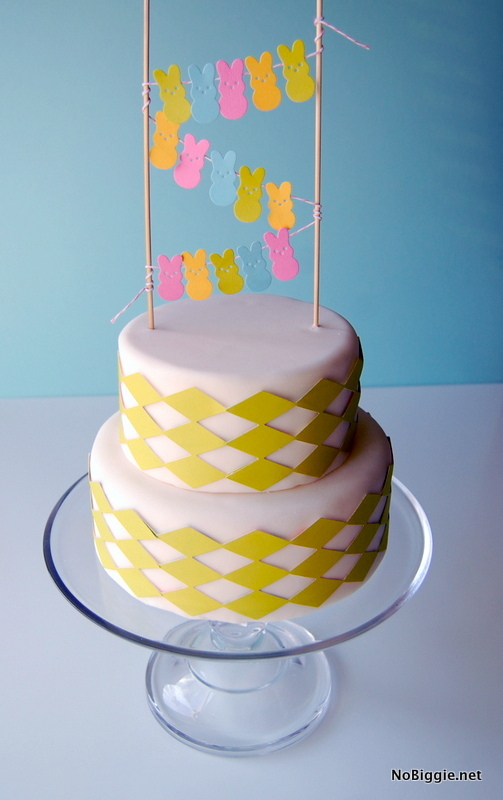 Make a sweet Easter Candy Display with a tiered stand. 10. 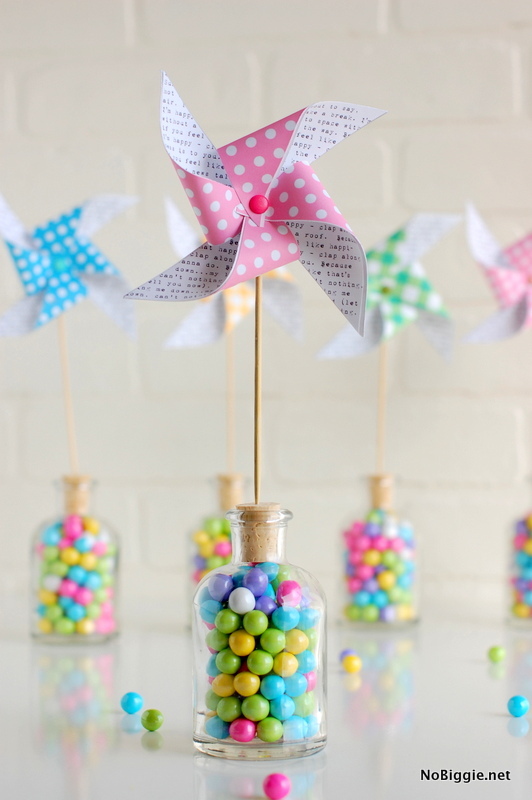 Use this free printable to make paper pinwheels for Spring. 11. 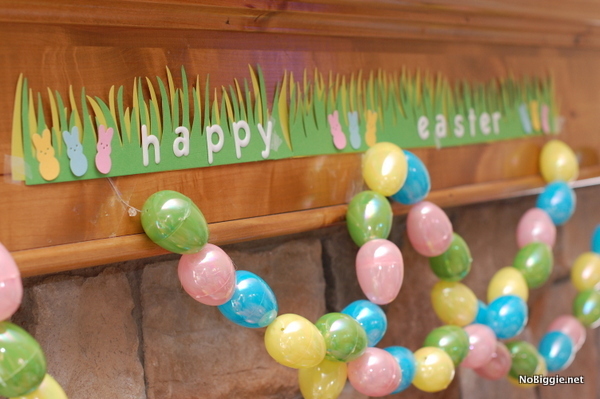 Make this fun Easter bunting with pearlized Easter Eggs. 12. 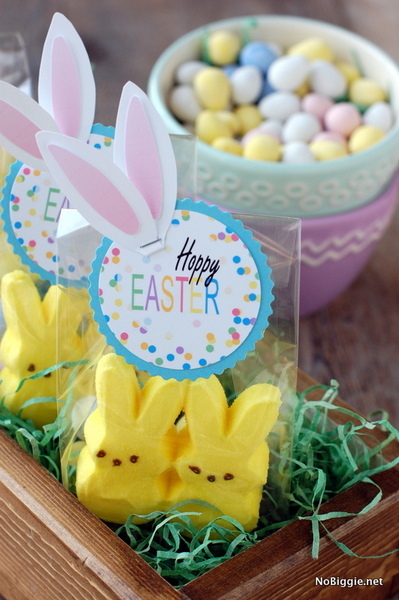 Free printable mini bunny ears for headbands and treat bags. 13. 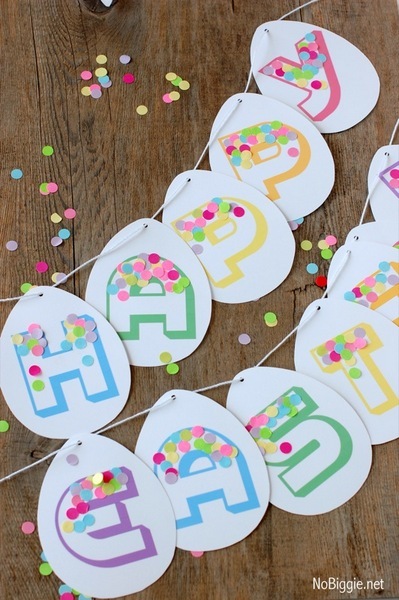 Make a fun confetti Happy Easter banner with this printable. 14. (15. & 16.) 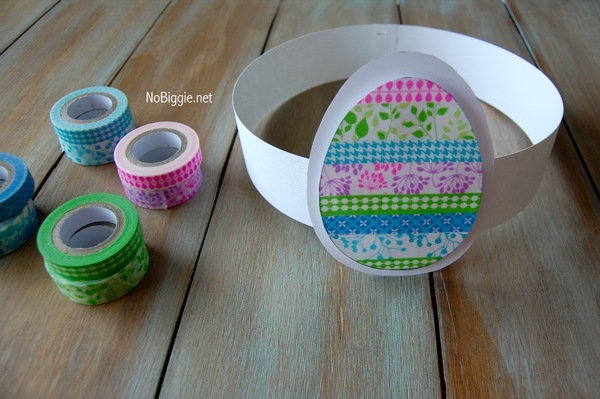 With this washi tape Easter printable, you can make cute Easter party favors, Easter Egg headbands, cupcake toppers and more. 17. 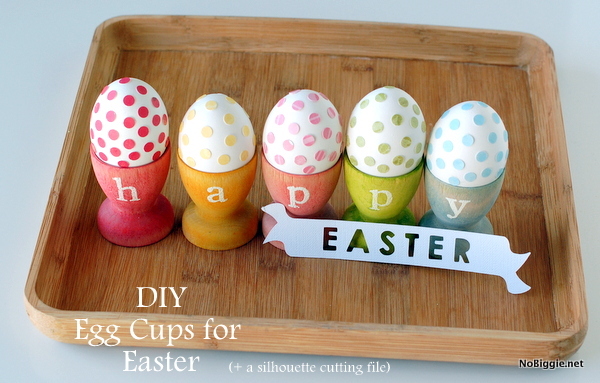 Use 3D puff paint to decorate Easter Eggs. 18. 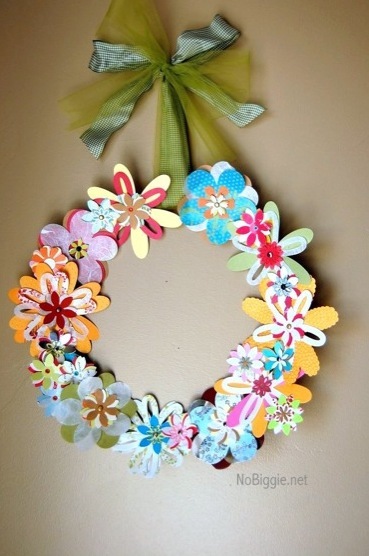 Make a paper flower wreath to welcome Spring and Easter. That’s it. I hope there’s something to inspire you to get creative. 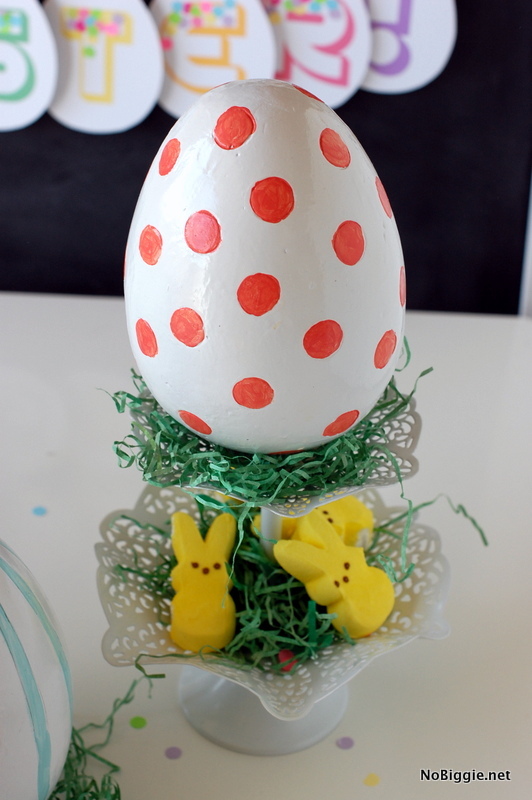 Happy almost Easter! Thanks Karma! Wow! You are a good mom! !